This 200 cc Model 67 belonged to Rob Hambright. Tim Stancill and Rusty Foard met him back in the late 60s, racing dirt track. All three bought the same Bultacos from Jim Kearney at his Glen Burnie dealership back in the day. Tim approached Rob several times over the last couple of years to purchase the bike, but he wasn’t ready to sell. Unfortunately, Rob passed away in 2017 at age 66, and Rob’s wife offered the bike to Tim. 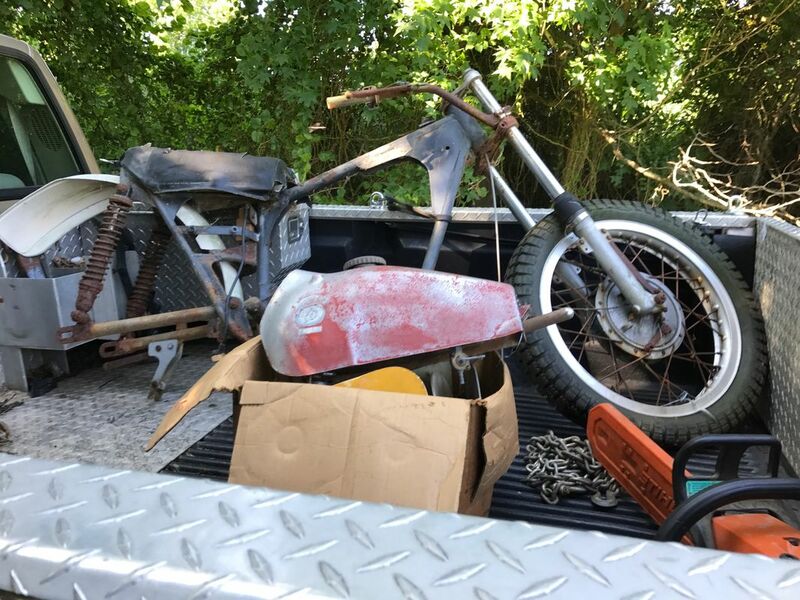 Nobody had seen the bike in 40 years — turns out it was behind the shed, out in the weather! The picture of it in the back of the pickup truck says it all — pretty rusty and missing a lot of parts. But I’m a glutton for punishment and we wanted to honor Rob by resurrecting his race machine. Tim wrote the checks, Rusty rebuilt the engine and I restored the rest of the bike. We are proud to have it in our collection with Rob’s name and race numbers applied.